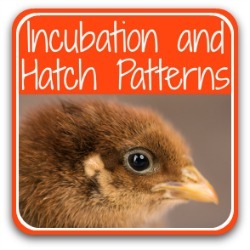 Hatching chickens: a step by step guide to incubation. 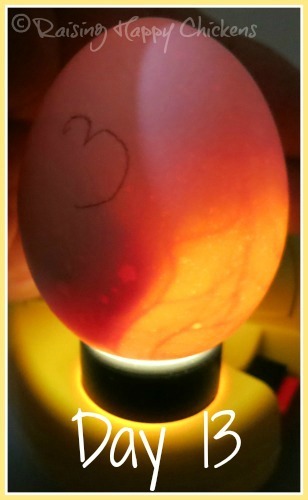 Hatching chickens: inside the egg during the second week. 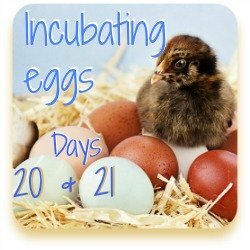 You're through the anxiety of week 1 of incubation and settled into week 2. What should you expect to see during this second week? Apart from the first sight of those "spider veins" at around day 5, the second week is the most exciting phase of hatching chickens. We'll see the embryo go from a tiny cluster of cells to a moving chick. If we had an egg heart rate monitor, we'd see the heart beating strongly. You'll be able to see me use my egg heart rate monitor (yes, there really is such a thing!) 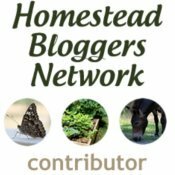 in my Hatching Club videos and Facebook Group Live events. 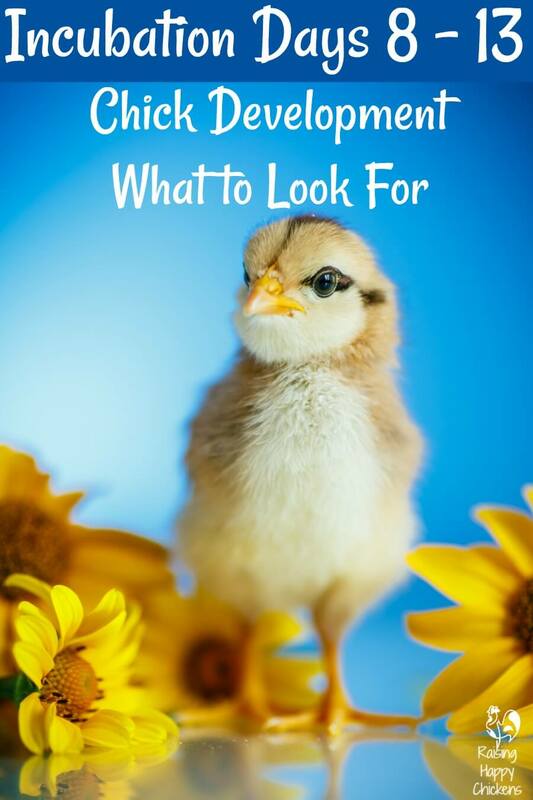 The Club is a very detailed, one day at a time, step-by-step look at incubating, including specifically what to look for at each point of the process. For more details and to sign up, see this page. In this article, we look at written and photographic detail of what to look for in a properly developing egg. 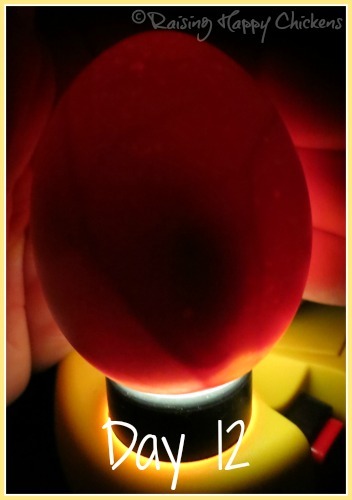 The candling pictures I use here and on my other incubating and hatching series are my own and follow one of my eggs right through from the start of the process to the end. This is what the resulting Light Sussex looked like five days after she'd hatched. See how she's already getting nicely coloured feathers on her wings? 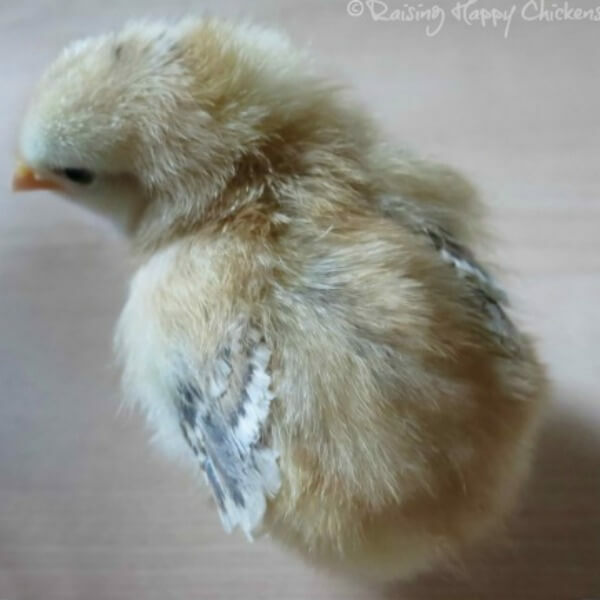 My 5 day old Light Sussex chick is already developing wing feathers. Incubation, days 8 to 13: the chick is growing fast! This part of hatching chickens is the most interesting (apart from the hatch itself, obviously!) because there's such a lot going on so quickly. It's possible to see your chick growing quite fast until, by the end of this stage, she's filling the bulk of the egg. Here's what the embryo would look like if we could break open the egg each day (which, obviously, we can't...). 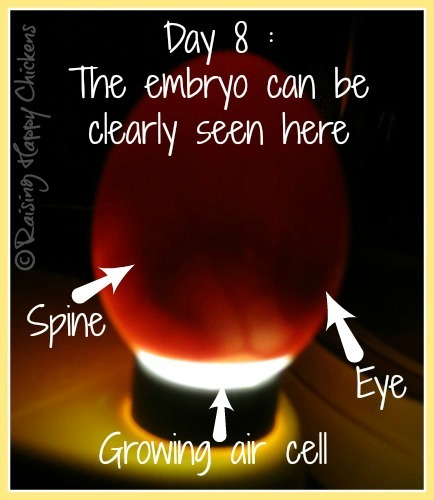 Here's what's happening with the embryo's development which you won't be able to see too well. On days 8 and 9 the feather buds are beginning to grow. If you could see the embryo now, you'd be able to see three little rows of feather cones on the tail. The inner eyelid and the egg tooth, which the chick will eventually use to peck her way out of the egg, are also forming. Day 10, and the comb becomes large enough to be visible. Flight feathers and the lower eyelid are also beginning to grow. The flight feathers will develop quickly after the chick is hatched - see my picture above. 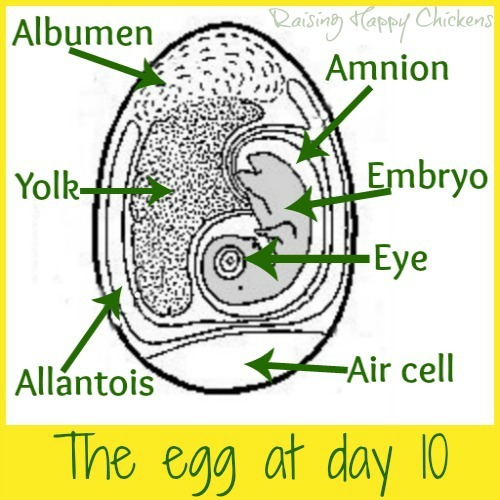 Below is a detailed diagram of the egg at day 10. The allantois is part of what in a human embryo we would call the umbilical cord, and is responsible for getting rid of waste. The amnion or amniotic sac is a membrane which surrounds and protects the embryo during its development. By days 11 and 12 the beak is hardening, the comb develops its serrated edge, the bottom of the feet become padded and on the legs, scales are visible. 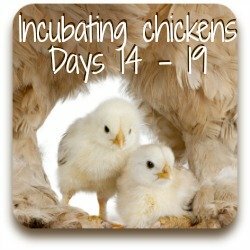 On day 13 the chicks' claws begin to form and curve downwards and the left and right collar bones meet and close together, to form what we commonly call the "wishbone". Importantly it's during this time that the embryo begins to take in some calcium from the shell which help to start hardening its bones. 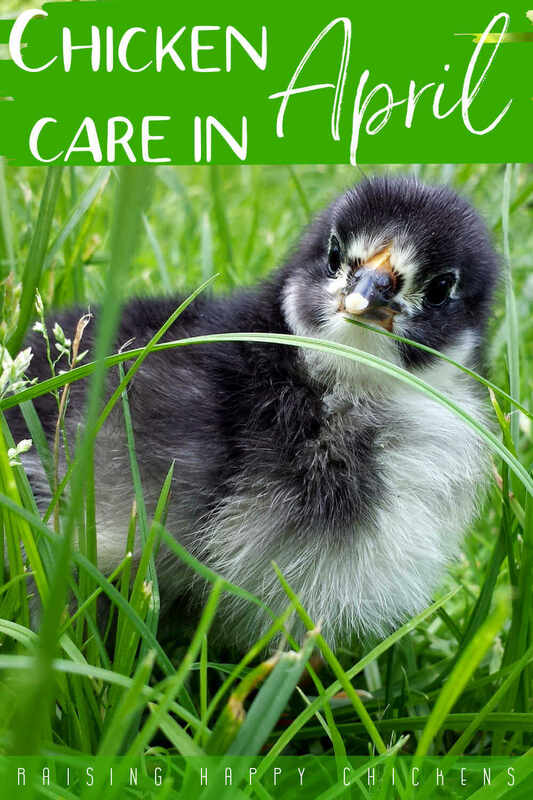 Hence the importance of incubating good quality, healthy eggs whose parents have themselves had a good supply of calcium. By the end of this period, your chick is two thirds of the way to full development. 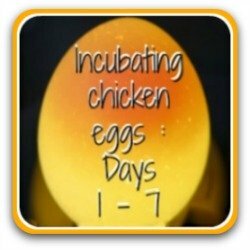 What do hatching chickens' eggs look like on days 8 to 13? The candling process during these stage is fascinating. Although it's not wise to candle every egg every day, I admit I find it hard to resist when there's so much going on. 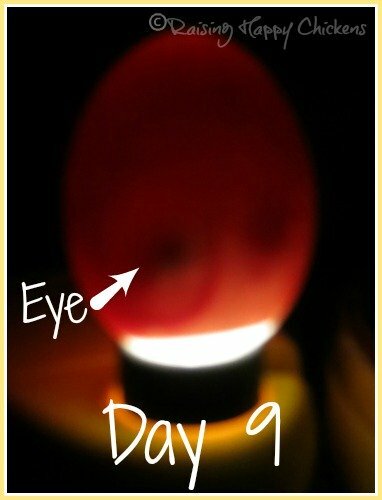 By the start of this week the embryo will be clearly visible when you candle the egg. The eye will become more prominent with time but even at this stage it can be clearly seen - look for a large black dot. It looks completely out of proportion to the rest of the embryo but don't worry - you're not about to produce a monster chick! See how by this point the air cell at the bottom of the egg is growing? When you candle, you should be able to see its growth very clearly. 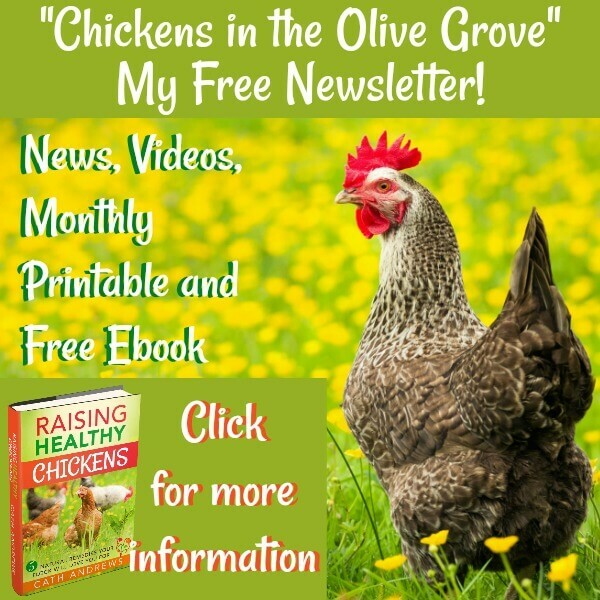 It's a critical part of the 'pipping' process because it's here the hatching chickens will initially break through and take their first breath. The eyes are now also very clearly visible as dark blotches. Sometimes you can only see one, sometimes two - it depends which way the chick is lying. When I first saw this, I thought my egg was having twins! Now you can really see how quickly this chick is growing. The vascular system - the blood vessels keeping it alive - are becoming very well developed. 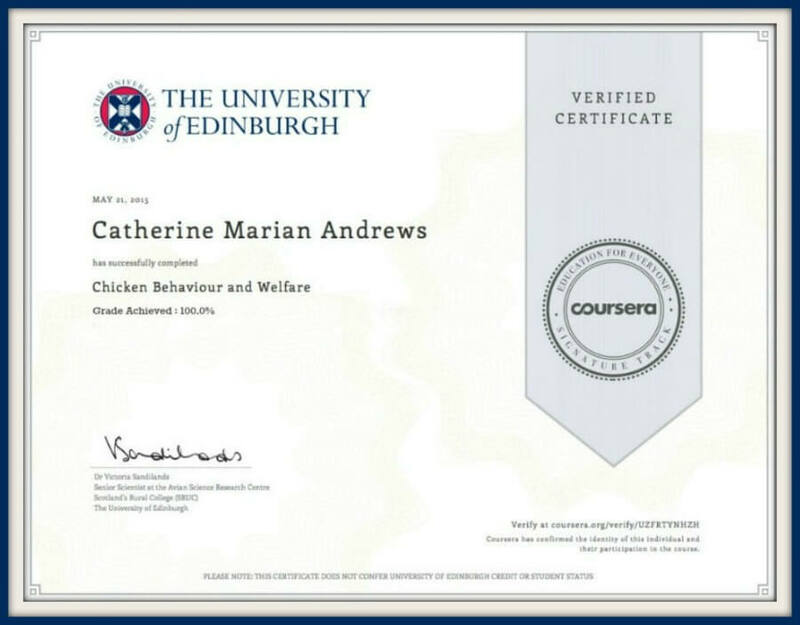 If you compare this to the diagram here you can see that the 'allantois' is also growing. This is an important part of the embryo's growth. It gets rid of waste products in much the same way as the umbilical cord in a human embryo. Without it, the egg would die. 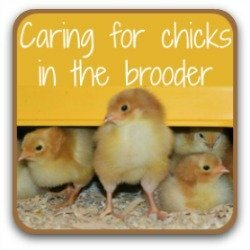 The chick is doing more of the same. You may be able to see it moving about inside the egg although, as it grows, it has less room to wiggle around. You can see I'm having more trouble candling now because the embryo is starting to fill the space. If you have the same experience, try holding your hand behind the egg to try to get a better view. I've turned the egg around today so that there's something at least to show you! The other side of the egg is now full of chick so just looks dark. The veins are developing nicely. 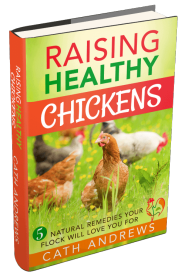 This is a strong, healthy chick! From now on, though, it will become increasingly more difficult to see the embryo's development. We're now at the two thirds stage. 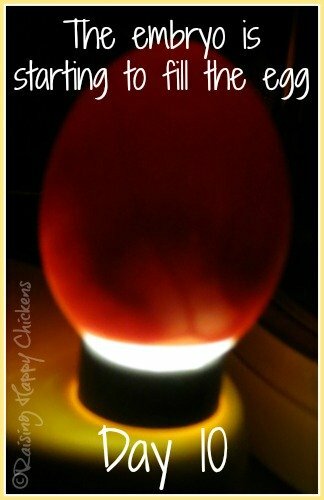 Your chicks only have a short time to go before we need to stop candling them and wait for hatching to start! I hope you're able to enjoy this second phase of the hatching chickens process as much as I do. 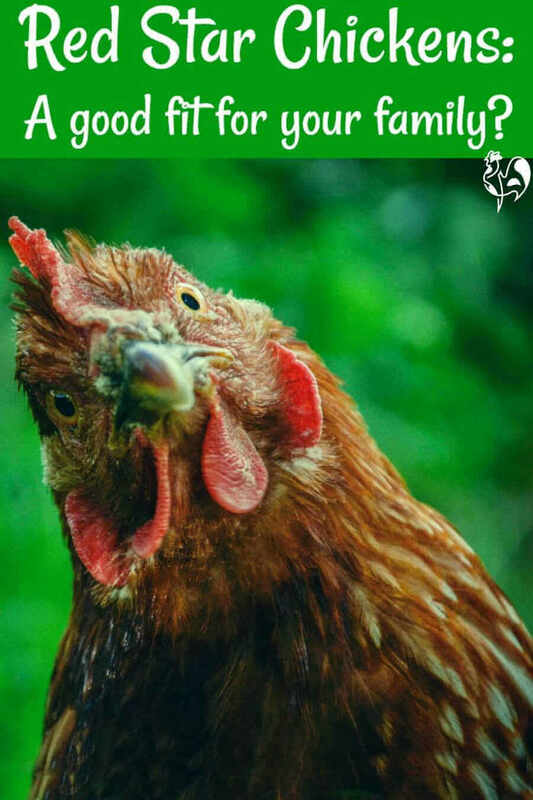 The anxiety of the first few days is over, you know your eggs are fertile, you've taken away any that aren't, and you can settle back and relax. 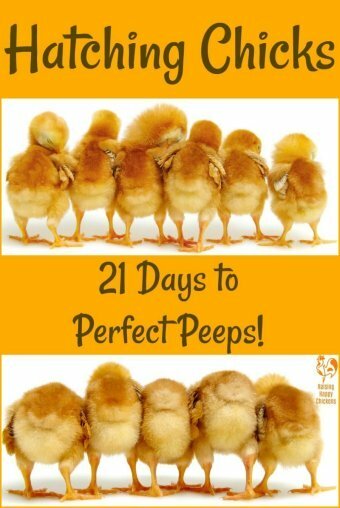 Just one more week to go - are you ready to meet your chicks? 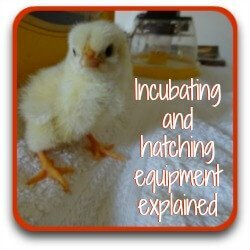 More information about incubating and hatching chickens.